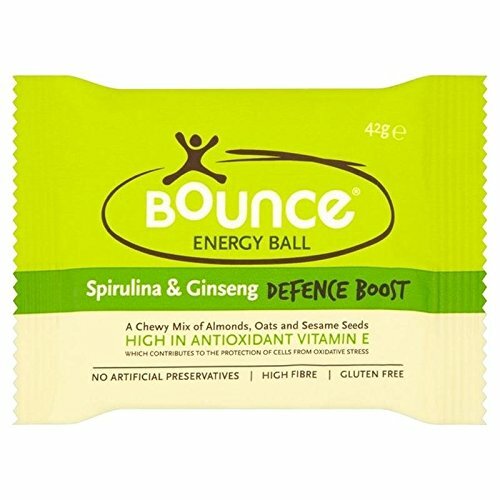 Grab a Bounce Ball - highly nutritious, great tasting, energy-giving food. They're different - individually shaped, we never compromise on ingredients and don't use heat to make them - all the energy's in the Ball. Each one is packed with nutrients - satisfying nourishing. Delicious. High in antioxidant vitamin E Which contributes to the protection of cells from oxidative stress High in unsaturated fats. Replacing saturated fats with unsaturated fats helps maintain normal cholesterol. Bianovo Nutrition vPro Superfood, Best Tasting Premium Greens Powder, Vanilla Chai Matcha Green Tea Flavor.